Den Holder manufactures thermowells in each required materials and according every required standard drawing. 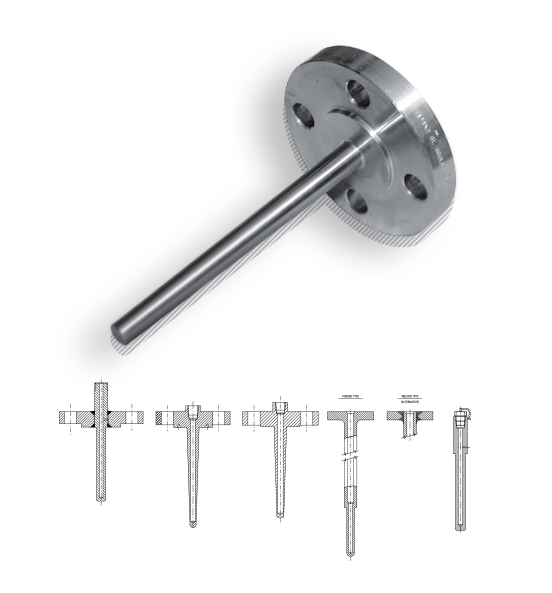 This means the thermowells can be supplied in any required length with threaded ends, socket weld ends or flanged ends, in which case the welds are made by qualified welders and supported by welder qualification documents. Most common steels and stainless steels are on stock in order to make fast deliveries possible.